The gun-toting protagonists in Bonnie & Clyde managed to intrigue over 9.8 million viewers when the miniseries premiered across three networks on Sunday night. It’s unusual for a miniseries to announce a Blu-ray and DVD release before the project has finished its run, but Sony Pictures Home Entertainment is capitalizing on the current popularity of the TV event. On Monday, we learned that Bonnie & Clyde will hit Blu-ray and DVD on January 28. If you aren’t on the up-and-up concerning the series, it stars a pretty well-respected cast, with Milk actor Emile Hirsch and The Borgias actress Holliday Grainger playing the titular roles. Additionally, Modern Family’s Sarah Hyland, Twilight’s Elizabeth Reaser, The Host’s William Hurt, and Academy Award winner and all around badass Holly Hunter also have key roles in the miniseries. The two-parter has thus far focused on the motivations of the infamous Clyde Barrow and Bonnie Parker, beginning with Clyde’s adolescence and working its way into a love affair. There’s a lot to enjoy from a historical perspective in the mini, but there’s also an interesting narrative for those who are into twisted romances and criminal behavior. If you are looking to catch the production before you decide whether you’d like to nab it on Blu-ray or DVD, the second part airs tonight at 9 p.m. ET on The History Channel, Lifetime and A&E. Additionally, the networks have been pretty good about repeat viewing, so give the episodes a shot before you head over to Amazon to pre-order the set. If you still can't decide whether or not this one is worth a view, here’s a look at the trailer for the event series. 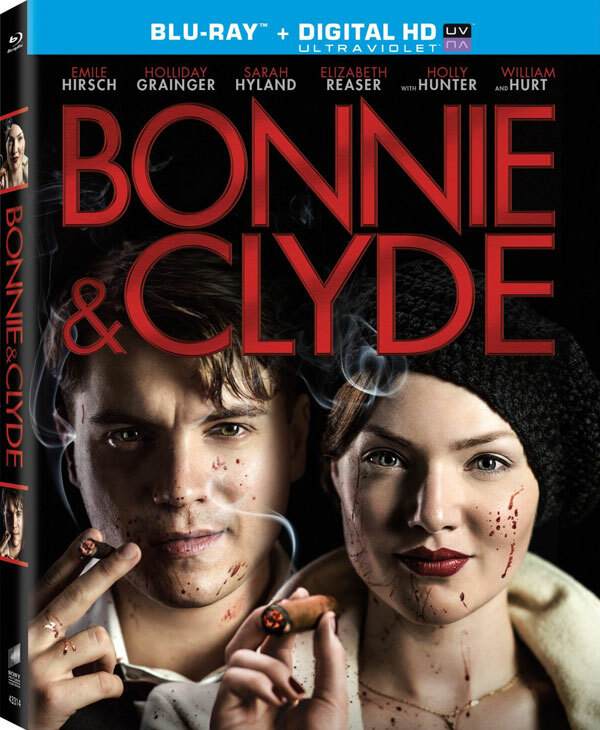 On that note, the list price for the Bonnie & Clyde set is on par with what audiences might expect to pay for a full season of television, so make sure this is something you really would watch again before you shell out $55.99 for the 2-part miniseries. On the bright side, the pre-order cost is already well under that list price, and it will come with plenty of behind-the-scenes extras. You can feast your eyes on the bonus features, below.